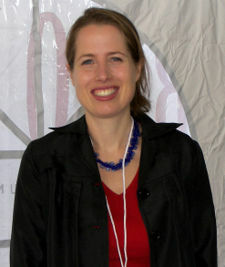 At the 2007 Texas Book Festival. Kristin Carlson Gore was a writer on Futurama in season 3 and season 4. She was the main writer of "Leela's Homeworld" and was a staff writer and story editor otherwise. She is the daughter of former Vice President Al Gore. This page was last edited on 28 April 2016, at 09:32.